Amabella Magazine - Welcome to the home of Amabella Magazine, a magazine devoted to living and loving belly dance! Our mission is to create a unique resource full of tips, tools, and techniques for developing your dance skills, building and caring for your costumes and dancewear, and perfecting your performance technique. Our digital magazine is available to read on-line here and on the Issuu website. Anil Danza Oriental - Discover Anil, the online magazine created to promote the best face of Belly Dance. Belly Dance Japan - Japan’s very first comprehensive introduction and guide to belly dancing. Bellydance Oasis Magazine - is a quarterly magazine from Australia which specializes in all things related to Middle Eastern Dance. We cover everything from the many dance styles within MED, to costuming, music, interviews with prominent dancers and cultural issues. The Chronicles ... A Dancer's Oasis - is an exciting new publication promoting not just the ancient art of Middle Eastern Dance, but celebrating its defining history, the exciting changes of the present and the creative dreams of the future. Gilded Serpent - Internet magazine for Middle Eastern music and dance. Jareeda - is an International Middle Eastern Dance Magazine that is owned and edited by Mezdulene. It is published 8 times a year with four special issues focusing on (but not exclusive to) costuming, music, teaching and performing. It is a friendly, quality publication whose subscribers range from professional dancers to students, and even non-dancers who love our art form and wish to know more about it. At this time, Jareeda is available through subscriptions, and article submissions are always welcome. Mosaic Magazine - Britain's top Oriental dance publication. Issued three times a year providing. Yallah Magazine - has been created to promote and showcase the stylistic fusion and growth of Middle Eastern Dance extensively throughout the Florida dance community, as well as nationwide. We will present to you, all that has allowed us to embrace this art form. We are focused on bringing you thought-provoking editorial and exclusive interviews. Published quarterly. Is an American publication with a Middle Eastern focus. It is not only a belly dancer publication, but one about businesses, events, musicians, food, lifestyles, troupes, books, videos and more. Most of all we would like this to be about people. Many magazines center on stars of belly dance, but we believe that without the support and determination of people like you and me, there could never be any stars. We welcome your articles, letters, questions, and comments about all subjects related to dance and Middle Eastern culture. 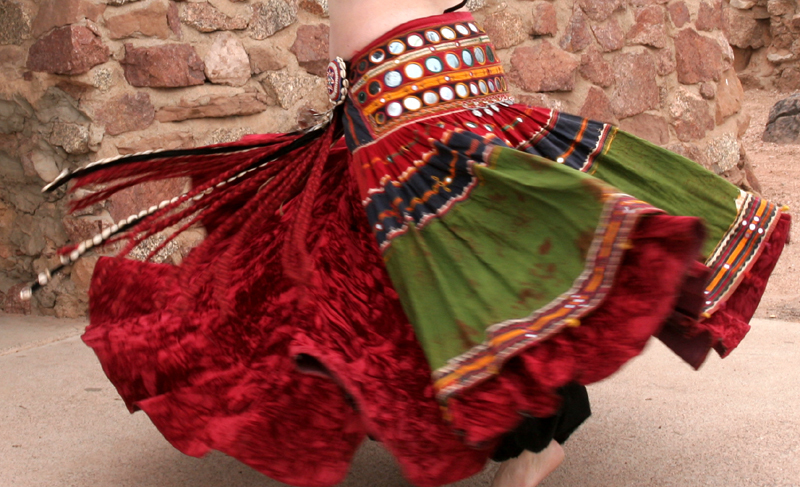 Daily Bellydance Quickies - Get a little bellydance in your email box everyday!